The club I purchased had a small paint chip on the crown where it meets the face. This is acceptable on a &quot;Very Good Condition&quot; club under Global's definition. &quot;Normal ball marks and scratching on the face; normal scratching on the sole; minor dings and nicks on the crown and/or around the edges of the head; very light scratches, paint chips, paint blemishes on or around the crown.&quot; In my view, idiot marks or other flaws, (chips, dents, etc.) which are visible at address should automatically disqualify a club from being considered &quot;Very Good&quot;. appeared to have never been hit. 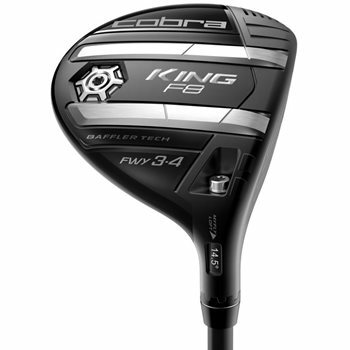 The features of the Cobra KING F8 Black fairway wood help you hit better shots from any lie. This club is geared for golfers of all skill levels. 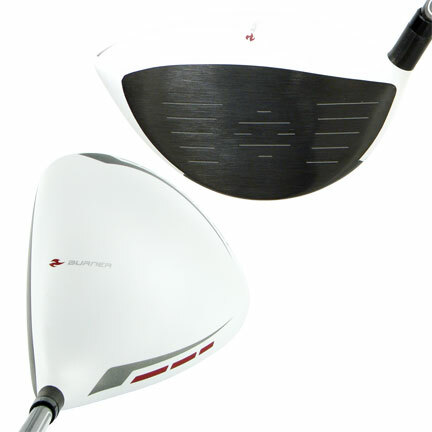 We swing a fairway wood differently depending on the length and loft of the club. The longer the clubs, the shallower the swing. This is where the Progressive Rail System on the Cobra KING F8 fairway wood comes into play. The two rails on the sole of the club aid in turf interaction, helping you hit the ball cleaner from any lie. The shorter and more lofted the fairway wood gets, the larger the rails get. In general, we swing steeper when the club is shorter. Therefore, bigger rails help the club avoid getting stick in the turf for better contact. "Aero trips" on the crown and sole of the KING F8 fairway wood improve aerodynamics through the entire swing. The reduced drag increases club speed, giving you more distance. Built in to the grip of the KING F8 fairway wood is Cobra Connect, powered by Arccos. Automatically pairing with the app, you get GPS, club distances, and recommendations for ways to improve your game. The chart below show the stock options for the Cobra KING F8 fairway wood.